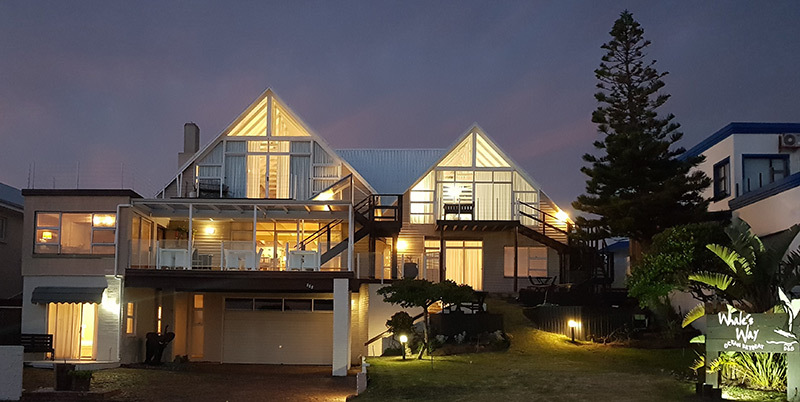 Whale’s Way Ocean Retreat is a beautiful bed and breakfast establishment situated right above the beach in Wilderness, which is a quaint village on the famous Garden Route in the Western Cape of South Africa and is well-known for its warm hospitality. 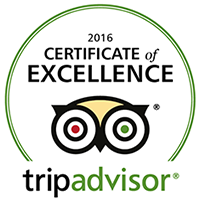 We offer accommodation in two luxury penthouse suites or three standard bedrooms. Each has an en-suite bathroom, flat screen television, mini-bar fridge, Wi-Fi connection, tea & coffee facilities as well as a room safe. A plunge pool with a wooden deck sparkles in the sun-drenched garden and there are endless views of the Ocean and Blue Skies to enjoy whenever you feel like relaxing and/or taking a sunbath. Plenty of comfy cushions and fluffy towels are at hand. Returning from the beach, our outdoor shower refreshes and cleans before entering the carpeted rooms. Mountains, lakes and rivers create the perfect backdrop to a place that invites you to indulge and relax mentally, physically and spiritually. The vibrant energy draws you in and allows you to recharge and live fully ‘in the flow’. It is a place where you feel completely at home from the moment you arrive. A host of outdoor pursuits awaits you. The Garden Route is a golfers’ paradise. 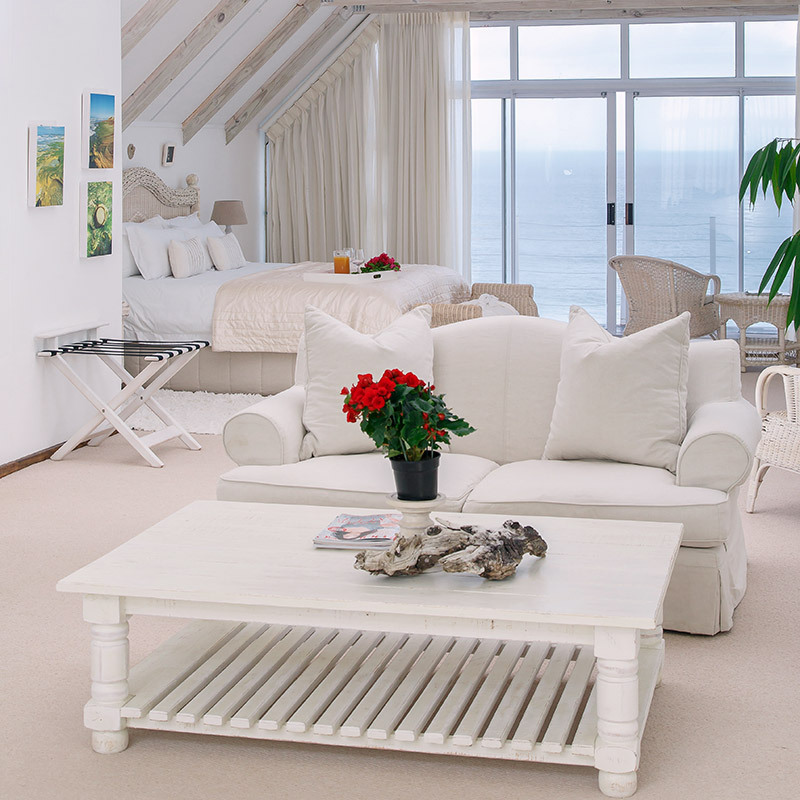 Oubaai, Pezula, Fancourt and Pinnacle Point, to name but a few, are just a stone’s throw from our doorstep. Fantastic bird-watching, hiking, mountain-biking, paragliding, game watching, quad biking, rowing, whale watching and shark diving, are some of the many enjoyable activities in the vicinity. We invite you to visit us and share in the magic of Whale’s Way!